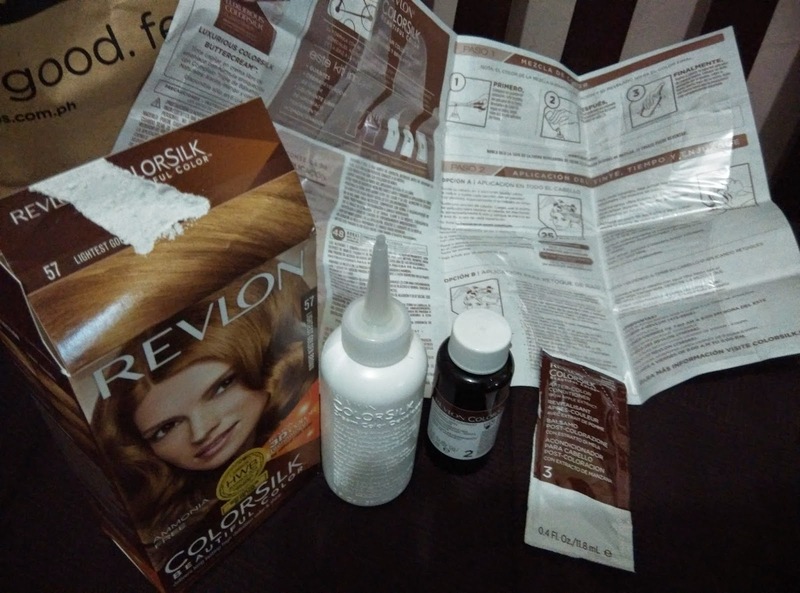 Finally I was able to color my hair with Revlon colorsilk in lightest golden brown. As you read on my previous post I chose this color because this is the only lighter color I can find in Watson but if there are other lighter color like blonde or even platinum blonde I probably get that color because I know that my hair is super black and sometimes other hair coloring brand doesn't have any effects at all in my super duper jet black hair and I am hoping that Revlon whose price is very expensive and top of the brand in its range i'm thinking that this could make my hair lighter (my ultimate goal) but I think it fails on me. According to its box: it is ammonia free, 3d color technology for natural rich color that delivers long lasting high definition color and shine. With a combination of specially blended dyes, conditioners and polymers, natural looking, multi-tonal color from root to tip not only boosting your hair color but also adding definition and dimensionality. 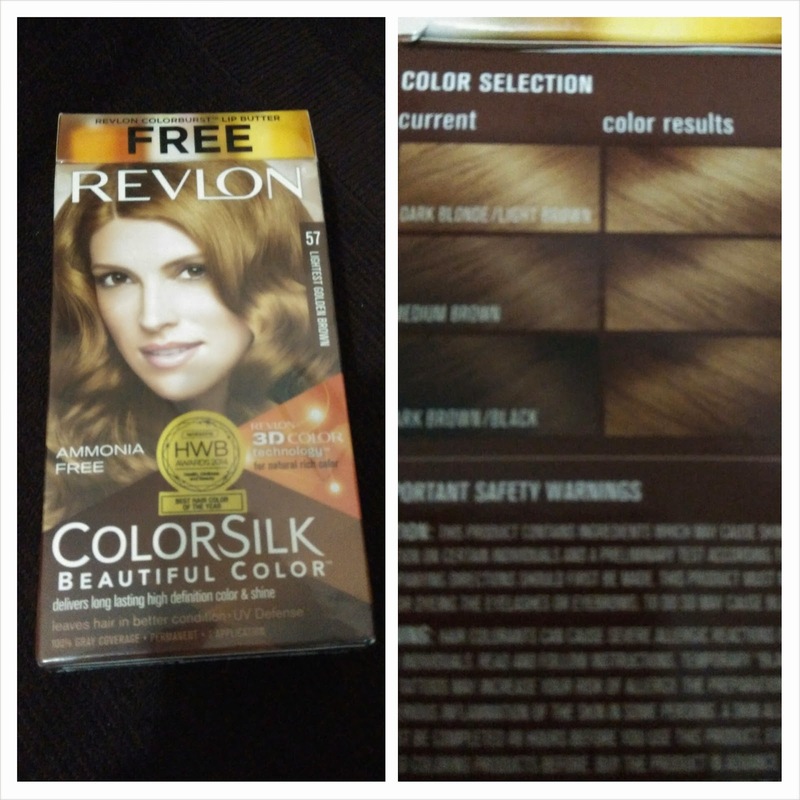 Amonia free Revlon Colorsilk is infused with nourishing silk proteins that penetrate every strand so that hair looks silky, healthy, shiny and in better condition than before you colored. It is also enriched with UV defense to help keep color vibrant, dimensional and true. In other words this is less harmful in our hair because there is no ammonia presents in the ingredients. Before you DIY this product in your hair you might want to wear old black shirt and put newspaper on the floor where there is possibly a spill. You may also want to secure the gloves with rubber band because it is big to fit in my hand. I also use old plastic bowl to put all the solutions in there instead of the applicator so I can really mix it well and I can estimate to content I put in my hair. And lastly part your hair into four sections to avoid patches. If there are still leftover you can retouch again your hair and put it the partition of your hair where roots are most visible. Buy 2 boxes if your hair is thicker and long, I just use one in my hair because mine is very fine and thinner. 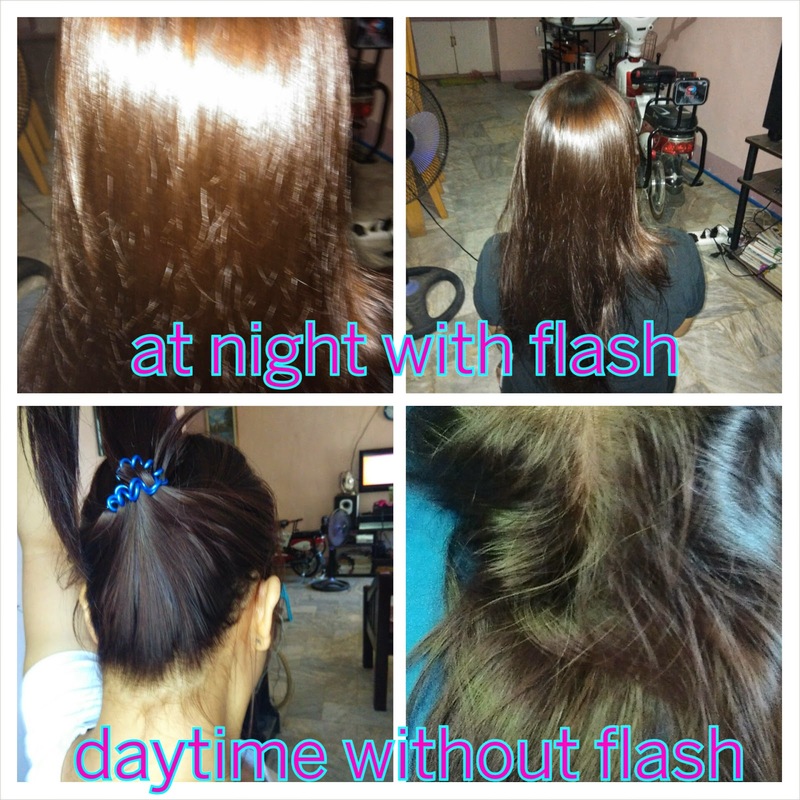 Honestly, I am disappointed with this product because it didn’t lighten my hair at all, although during the daylight it was obviously I had a color in my hair because of the light reflection but inside the house with minimal lighting my hair looks black as it is before. I even wait 30 minutes instead of 25 before I wash my hair but still nothing happen. If you ask me will I buy it again my answer is no unless it is super blonde or lighter color that can match super black hair to lighten it. 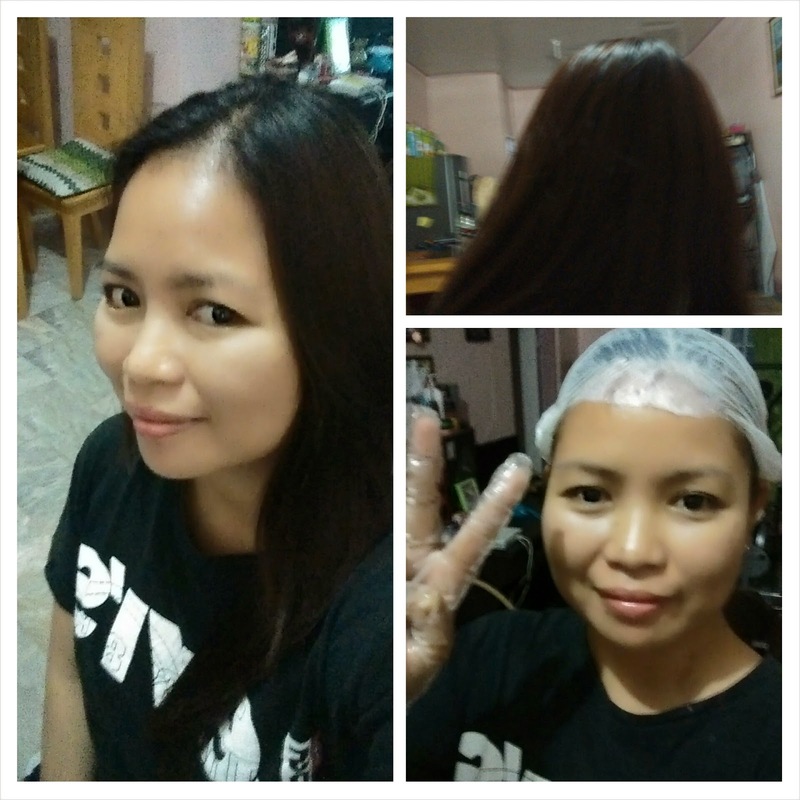 I am actually scouting other brand right now like Lolane and Hortaleza hair color for highlights.